She spent her retirement money, sold her car and even sold her wedding ring - all for the love of the cats. Lynea Lattanzio, 67, also gave up her five-bedroom home and moved into a trailer on her six-acre property for approximately 1,110 cats. 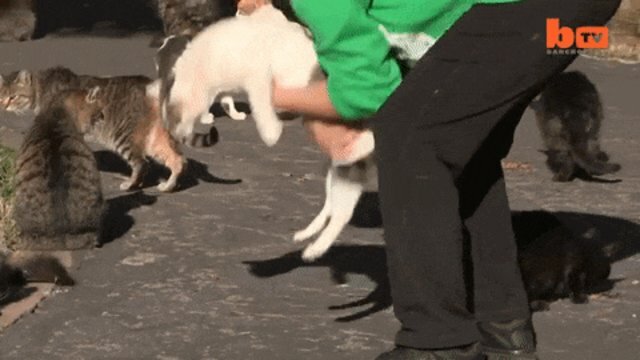 But don't mistake this for a pesky feline infestation: Lattanzio runs Cat House On The Kings in Parlier, California, the state's largest no-cage, no-kill cat sanctuary. How did Lattanzio end up with the dream job of looking after roughly 800 adult cats and 300 kittens? It started in 1992, when Lattanzio went to a shelter to replace two cats of her father's who had passed away. 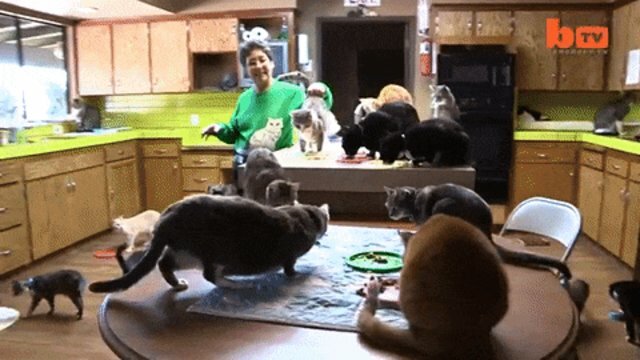 She ended up bringing back 15 kittens instead. 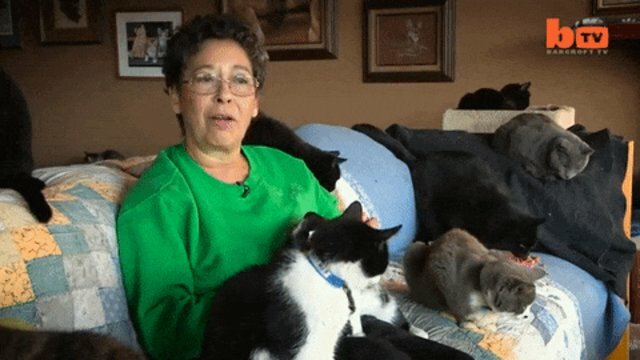 She went on to rescue and re-home 96 cats that year, she told Barcroft TV in an interview this week, and has been the champion of purring friends ever since. She runs the sanctuary with a staff of 45 (plus volunteers) who start their days at 4 a.m., feeding all of Lattanzio's permanent guests. The sanctuary also has a hospital and ICU, and designated areas for seniors, kittens and the critically ill. Lattanzio is a surgical veterinary technician herself. Lattanzio's goal isn't to keep all the cats for herself (though we wouldn't blame her if she did). The sanctuary is also an adoption center - where many, many cats (and a few dogs) are in need of forever homes. According to the sanctuary's website, over 24,000 cats have been saved. Another 40,000 cats and dogs have been spayed and neutered. "I like cats because they are independent, they are beautiful, they are just graceful, and I enjoy watching them," Lattanzio told Barcroft TV. "I have taken in and lived with 28,000 cats. That's probably a record." If you're in the area and are interested in adopting one of the cats currently available at the sanctuary, get started here. If you're not in the area, visit Adopt-a-Pet.com to find adoptable cats near you. You can also make a donation to the sanctuary here.